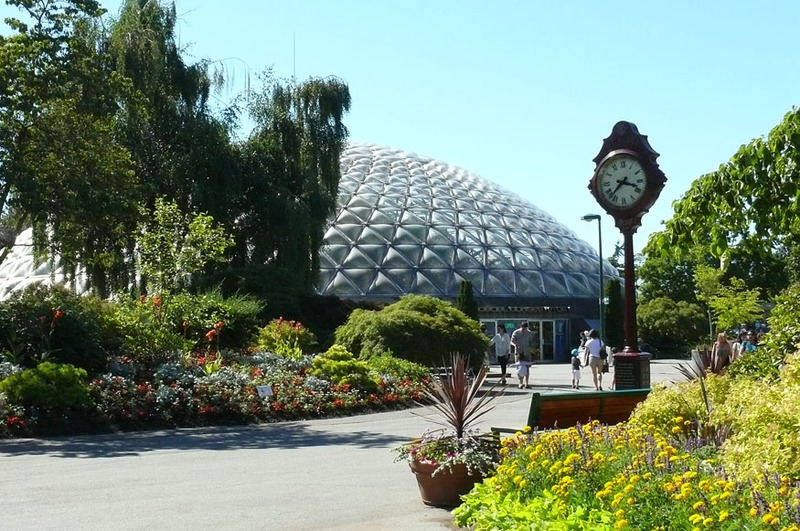 The Bloedel Conservatory and Plaza Clock. Photo © Vicky Earle. 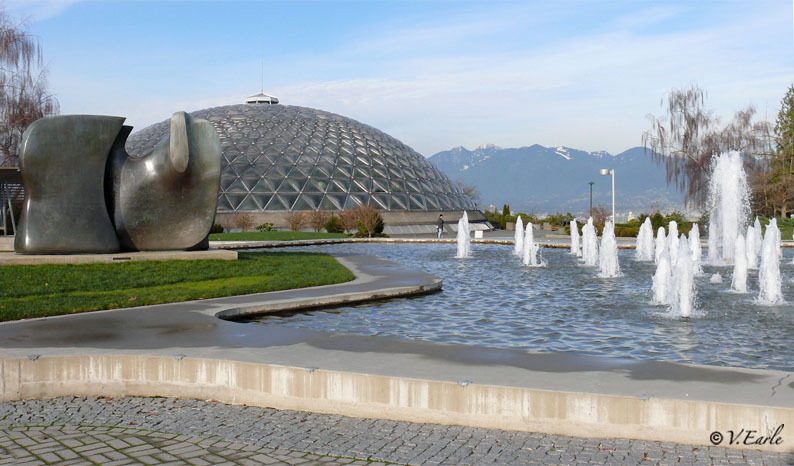 This Sunday morning August 19th, the 2nd annual Bike Tour of the Vancouver Biennale Sculptures will start at Queen Elizabeth Park and finish right at the Bloedel Conservatory: the geographic centre and highest point in our beautiful city! What a perfect place to end the tour! The Panterragaffe. Photo courtesy Paul Lock. 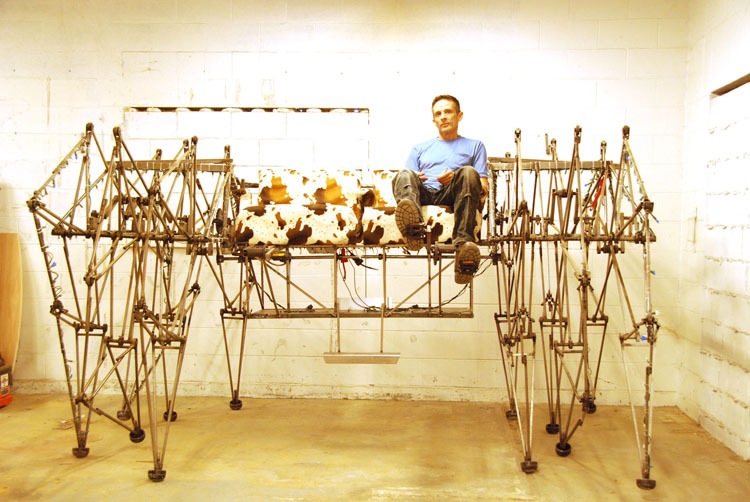 For this special event, the Friends of the Bloedel are very pleased to announce that the Panterragaffe, an interactive kinetic art piece and the first two person walking bike in the world, will be making a rare appearance on the Plaza outside the Bloedel Conservatory. The Biennale tour starts at 7am with entertainment and other festivities beginning at approximately 10am to welcome the cyclists and other visitors back to the plaza. Please come out and join in the fun! 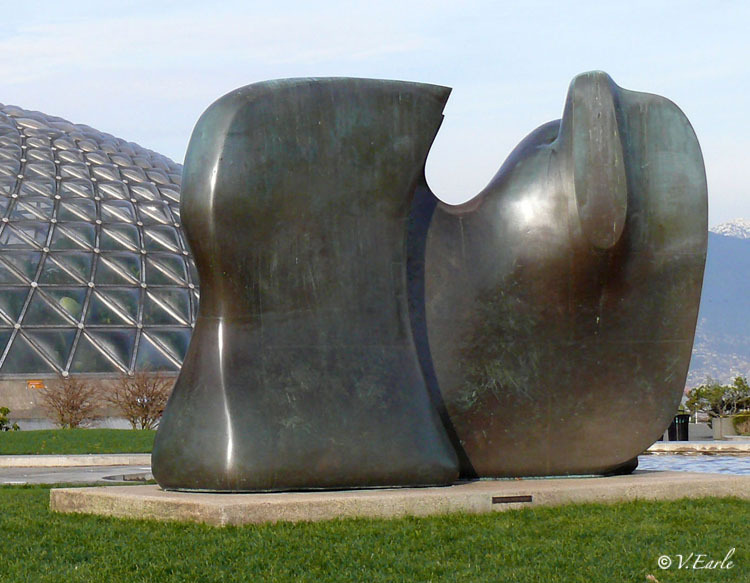 Also not to be missed, is Henry Moore’s Knife Edge – Two Piece, situated next to the plaza fountain by the Conservatory. Moore created this majestic bronze in 1962, and authorized three castings of the work. The first stands on Nelson Rockefeller’s New York estate, the second is found outside the House of Lords, London, England. The third Knife Edge was the first non-commemorative sculpture accepted by Vancouver’s Board of Parks and Recreation. 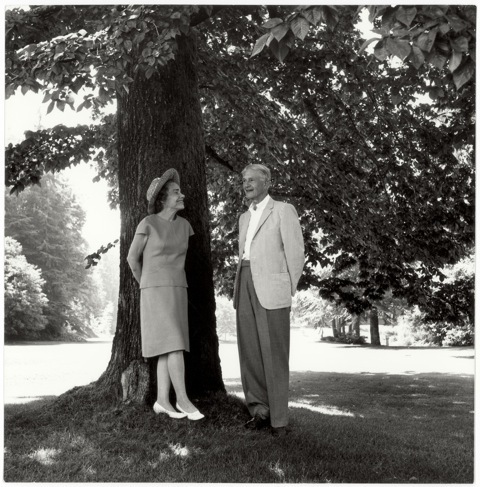 Prentice and Virginia Bloedel. Photo courtesy of Virginia Wright Bloedel. Prentice Bloedel and his wife Virginia donated this piece to the City of Vancouver along with $1.4 million dollars to build the Bloedel Conservatory in 1969. They selected Knife Edge – Two Piece to tie the Conservatory dome and the design of the adjacent fountain plaza to the inspiration and power of nature. Plan to visit the Bloedel Conservatory on August 19th and enjoy the festivities on the Plaza.